Work to completely refurbish number 87 High Street has now been completed. The rest of the terrace, numbers 83-89, has also had some attention, most noticeably the removal of the rather woebegone pebbledash rendering on the front elevations. 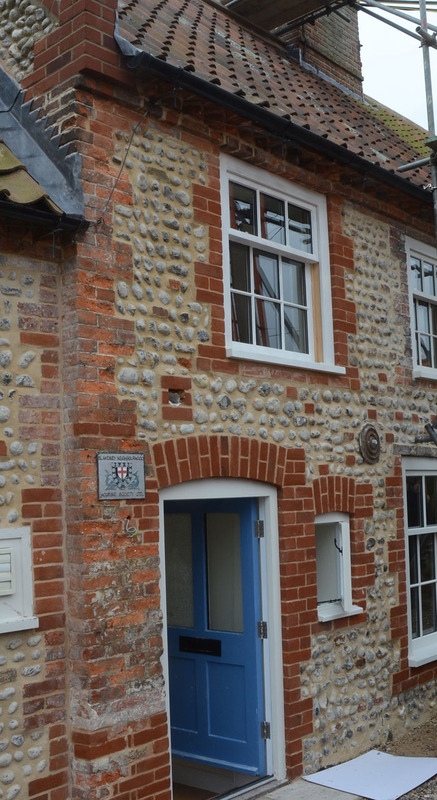 The decision was taken, in conjunction with the NNDC Conservation Officer as the whole row is Grade II listed, to remove all the rendering and instead to repoint the exposed flintwork. And very nice it looks. Several windows have had to be replaced on a like-for-like basis which has kept the local bespoke joiners busy. The exterior is almost finished (as at the end of October) and soon the scaffolding will come down. 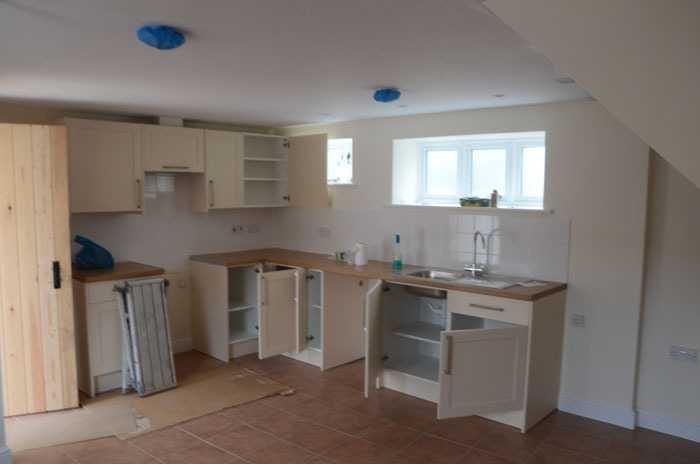 Number 87 had been empty for rather longer than the Society would have liked – there always seemed to be more pressing claims on limited resources – but now it is done and the property provides a decent home for another local family. Apologies to the neighbours, though, for suffering a summer of building works on their doorsteps. The kitchen area of the downstairs. The blue blobs are plastic covers to stop dust getting into the smoke and carbon monoxide detectors rather than some post-modern decorative feature. 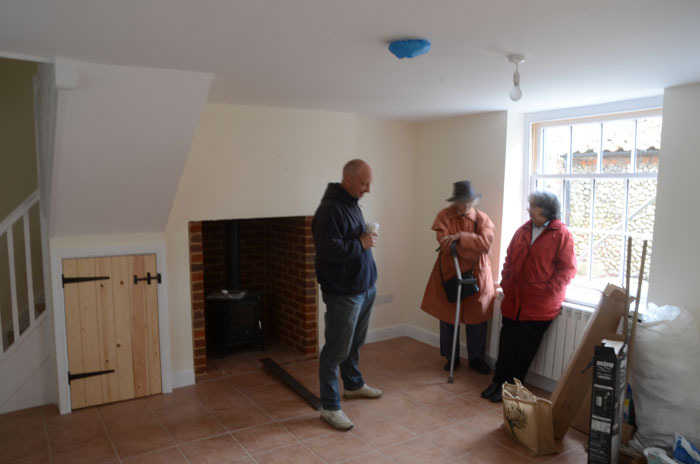 The cottage has been opened up downstairs into a reasonably sized kitchen/living area with wood-burner stove and new-style – and much more efficient – electric radiators. The stairs have been replaced and lead up to two bedrooms, a double and a single, and a bathroom with shower and WC. Where the previous outside toilet had been is now a utility room plumbed for a washing machine and with extra power points for freezers etc. Having seen the state of the cottage before work started, it is hard to recognise this as the same building, so thorough has been the transformation.